Postcards: Aloha! | Craft and Couture Craft and Couture: Postcards: Aloha! Aloha from Waikiki Beach! The hubby and I are celebrating our 5th year anniversary in the beautiful island of Oahu. If you follow me on Instagram you've probably seen photos of the stunning infinity pool at the Sheraton Waikiki, where we're staying (and highly recommend!). We spent our first day lounging around the resort, hiking up Diamond Head, and enjoying some yummy poke. Between hopping from pool to beach, I kept cool and comfortable in my favorite bandeau bikini and a chambray shirt as a cover up. 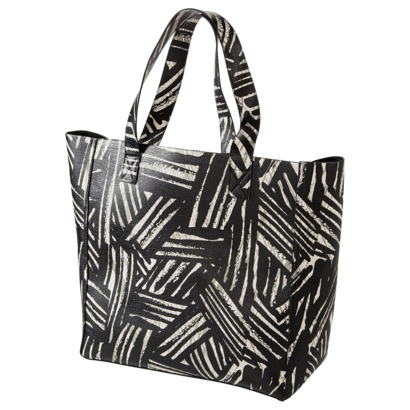 I picked up this perfect summer tote at Target right before we took off and I'm so glad I did! 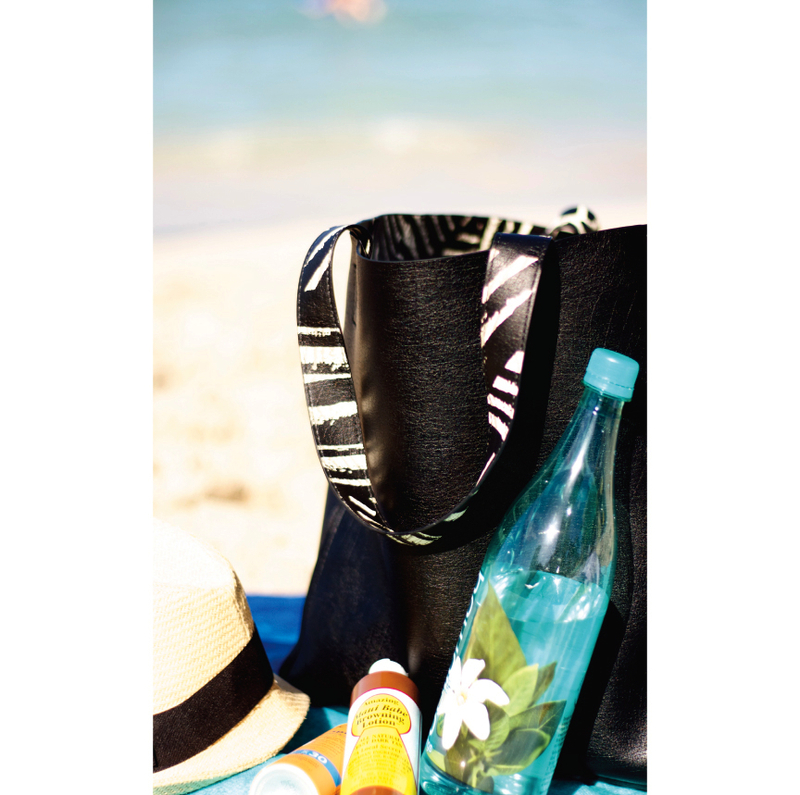 It works perfectly as a beach bag since it repels water - I don't need to worry about stains and it can be rinsed and wiped down (no washing and drying necessary). I actually turned the bag inside out to give it a different look. I'm missing my baby terribly! This is always the hardest part about taking these kind of vacations. I'm constantly thinking about Natalie and wondering what she's up to. Thankfully we can FaceTime and get in touch with her often. I just have to remind myself that these trips are good. It's really important for mommy and daddy to get some quality grown-up time. We work hard and deserve to recharge. Taking the time to stop and breathe once in a while will make us better parents.